Becoming a licensed architect is a rigorous process, yet achievable in less time at The Boston Architectural College. The BAC has been accepted by the National Council of Architectural Registration Boards (NCARB) for participation in its inaugural Integrated Path to Architectural Licensure (IPAL), which significantly shortens the time it takes to attain licensure. As the first school in New England—and one of only 21 in the nation—chosen to be part of this innovative program, the BAC offers both Bachelor and Master of Architecture students the opportunity to earn licensure immediately upon graduation. Being selected for this initiative recognizes the College’s longstanding tradition of integrating academic learning with experience in professional settings. The IPAL program is a structured experience that allows students to complete the requirements for architectural licensure while earning their degree. 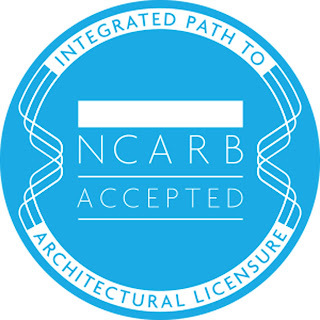 It incorporates NCARB’s Architectural Experience Program® (AXP®) into our Architecture curricula, and students have the opportunity to take the Architect Registration Examination® (ARE®) before graduation.